What has Lambeth to say about Paddick? Latest comments. What have you to say? Have your say in Lambeth Talk. 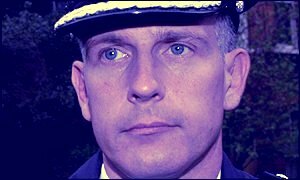 In an interview with American website BBS News, Brian Paddick reflects on his own treatment and policing policy (interview). The Labour Group on Lambeth Borough Council tabled a motion at the Council’s December meeting, asking for the Chief Executive to write to the Commisioner asking for Commander Paddick’s reinstatement. The guillotine fell before the motion was discussed or voted on. The public meeting on 24 October sent a letter to the MPA, calling for the retention of the rank of Commander in Lambeth and the return of Brian Paddick. You can follow the resulting correspondence here.